When I was abroad in Vietnam a year ago, my host brother was accepted into the HameenAmmattikorkeakoulu University of Applied Sciences (don't worry about it, it's called HAMK for short). In the past year, I have stayed in contact with him and done some of my own research of HAMK. The crown jewel of HAMK is its phenomenal education program, which is recognized as one of the premier educational tracks in Finland, a country said to have "an education system that provides a model for the rest of the world." 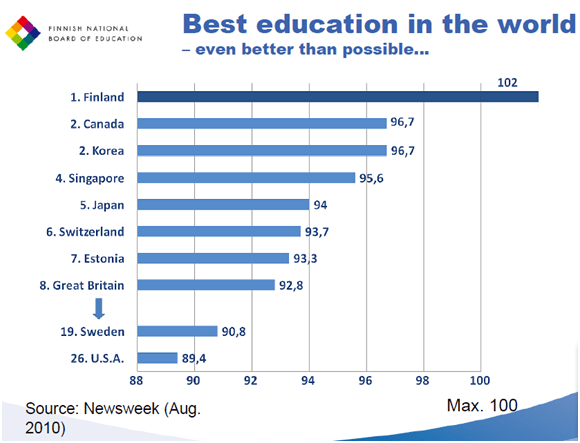 As HAMK's site notes, such reputable sources as the Economist Intelligence, Harvard Business Review, and Newsweek have commented on Finland's exemplary standards in innovation and education. Another notable aspect of HAMK is the huge international student body it hosts. Any student studying abroad should be informed about backpack, as it makes visiting their home countries much more cost-feasible, as well as gives them the opportunity to help their home country's community by using the power of the Backpack network.